Guo Haiping (b.1962, Nanjing) is a contemporary artist, the pioneer of Chinese Outsider art, the founder of Nanjing Outsider art studio and the chief editor of Outsider art Series. He devoted himself to the discovery and research of Outsider art of people with mental disturbance for changing the environment of Chinese culture. He established the first art institute for the mental patients in 2010 and established two Outsider art studios in the community of Jianye District and the community of Gulou Distirct in Nanjing. His books include Out of the maze of mind, Sunbathe: art projects of 20 years, I am sick, therefore I am, Notes of Outsider art in China. Chen, S.S., Guo, H.P. Haiping (2018). Outsider Art in China — An Interview with Guo Haiping. Creative Arts Education and Therapy – Eastern and Western Perspectives. Vol 4 (1). 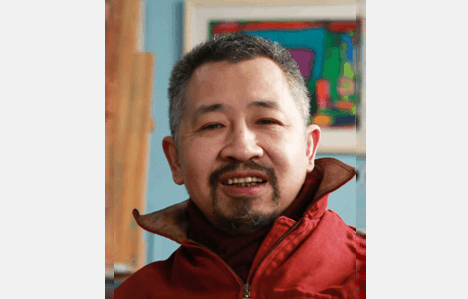 Guo, H.P., speaker for CAET webinar series: A Dialogue between Outsider Artists in China and Europe. Guo, H.P., speaker for CAET World Forum, China, 2019.